Not yet they aren’t. But one of the most famous opening lines in modern English literature seems to me a good place to start writing about where to begin when reissuing an old book. A friend of mine over at HarperCollins – in fact the wise chap that employed me here at Penguin a few years ago – had to hire a new copywriter a while back. He was looking for a good way to separate the wheat from the chaff and came up with the rather neat idea of inviting all applicants to supply the current blurb of a book they were fond of together with an entirely new blurb of their own devising. They then had to explain why theirs was better. 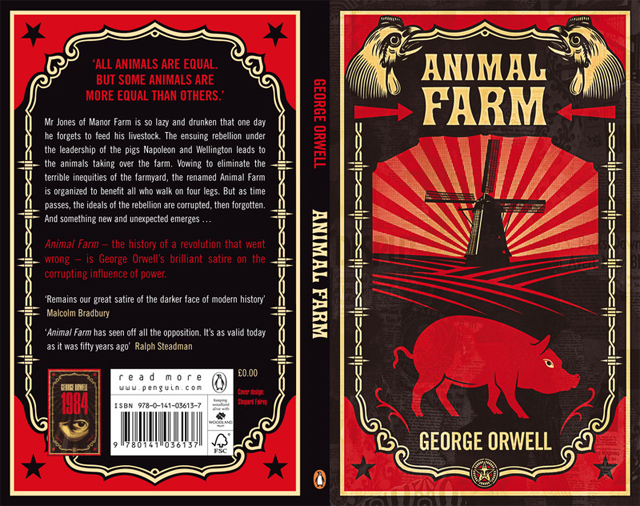 Newspeak, Doublethink, Big Brother, the Thought Police – George Orwell’s world-famous novel coined new and potent words of warning for us all. Alive with Swiftian wit and passion, it is one of the most brilliant satires on totalitarianism and the power-hungry ever written. Maybe. But it sounds like a bit of a slog. When it came to doing the reissue (out in July) it didn’t take a lot of head scratching for me to decide that a) it was time I re-read one of my favourite books and b) the starting point for writing this blurb had to be the excellent opening line, which manages to be perfectly ordinary until its very last word – which rips the rug out from under your feet. Nice work, George. 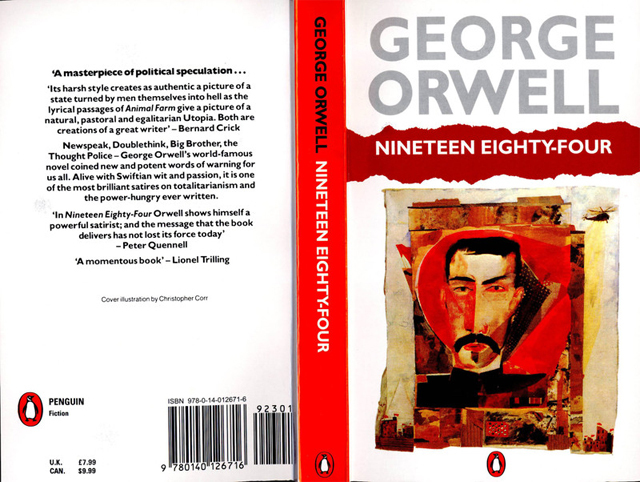 By listing some of the words that Nineteen Eighty-Four had added to the English language, the old blurb was trying to get across the book’s weight, its sheer importance. 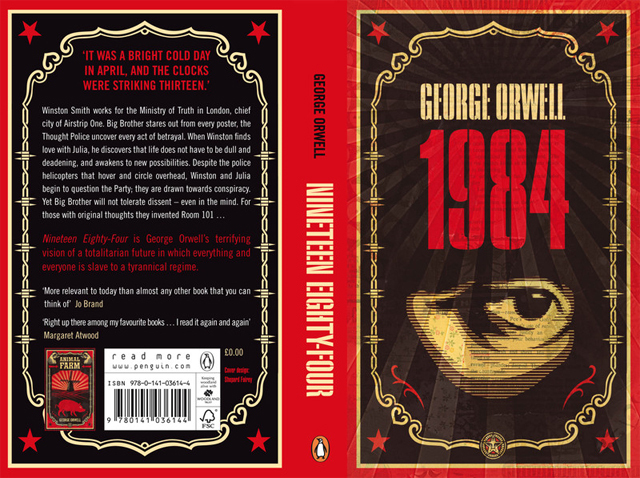 Unfortunately, as with a lot of attempts to make things sound worthy, Nineteen Eighty-Four just comes across as dull. Something to be admired rather than liked. This edition is not the Penguin Modern Classics edition. This edition is the one we want to get into the hands of school kids, to grab their short attention spans. So yes, putting the key words – Big Brother, Thought Police, Room 101, Ministry of Truth – in there is important, but that is no reason to leave the story or the characters out. The great thing about Nineteen Eighty-Four is that it is so unsettling, it is so terrifying and bleak (and not much fun as satire, either). To get that across we need to know what’s at stake – what Big Brother is opposed to. We need Winston and Julia, their hopes and love, their humanity. Without Winston and Julia there is no tension, no story. A book might be a classic, big names may rate it, teachers might tell you it is an essential read. But that’s no reason not to sell it as if it’s brand new – to some people it will be – or not to try to seduce the sceptical reader into turning to the first page despite themselves. Both books feature stunning covers by Shepard Fairey – if you’re going to grab people, get them by the short and curlies. But don’t let either cover art or blurbs distract you from the words within.